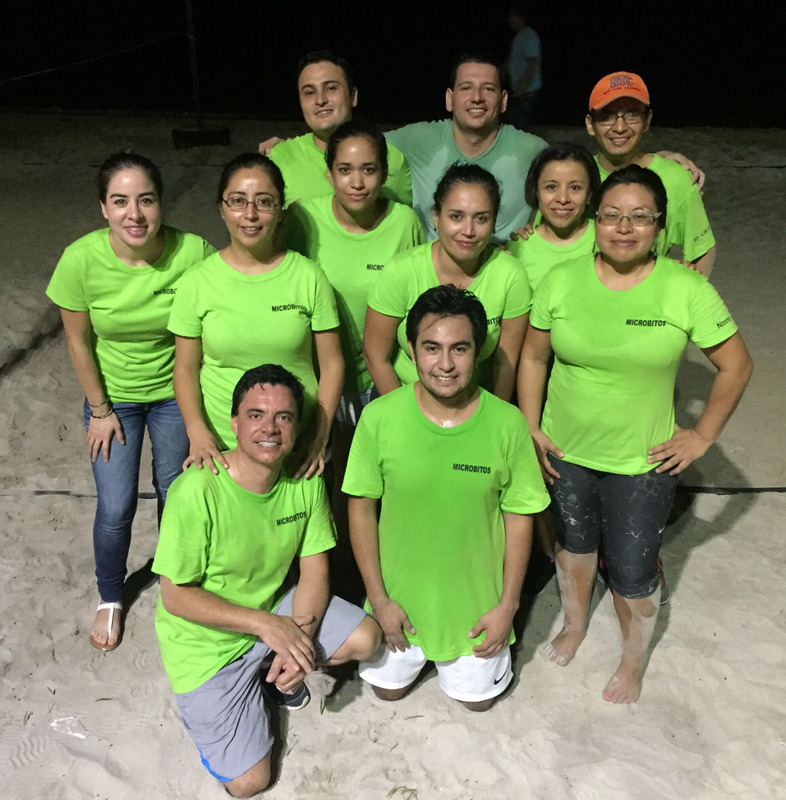 The Environmental Microbiology Group participated in an internal championship volleyball tournament, organized by The Northwestern Center for Biological Research (CIBNOR) to celebrate its 40th anniversary in October 2015. 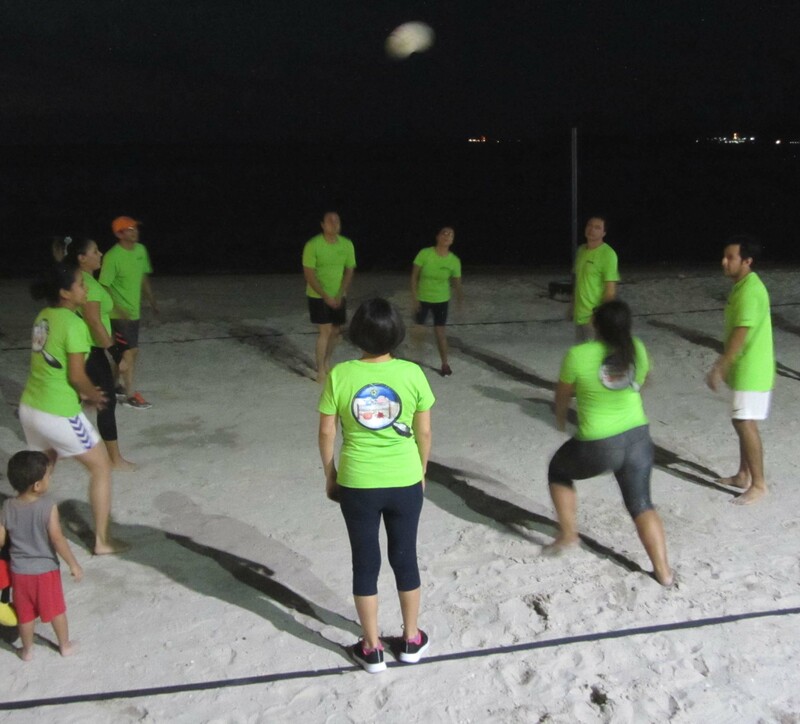 Our dream team was named "Microbitos". 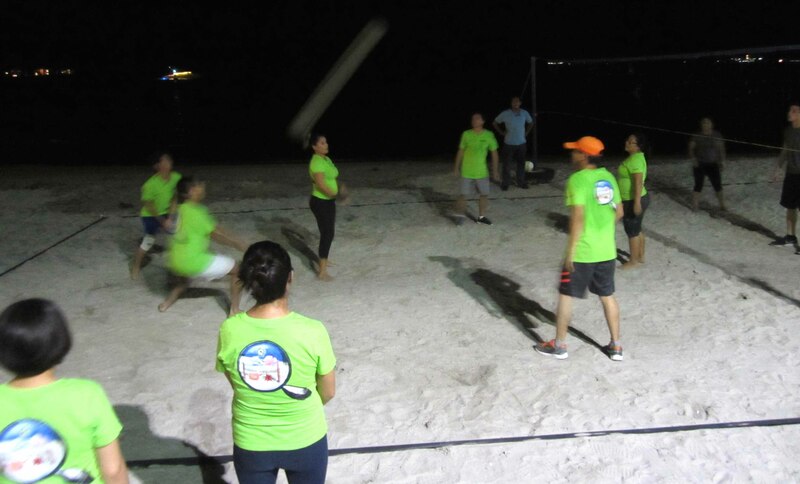 Our team is distinguished by many attributes; very high moral, fancy logo and fluorescent uniform. The team also have a unique strategies to win the tournament: absolute no training because it is not needed; there is no coach, no formal team and every member of the team is a strategist; only very basic manoeuvres of the ball are used and warming before the games is prohibited because the team gets tired fast and cannot win. Unfortunately, this year we did not win the tournament. 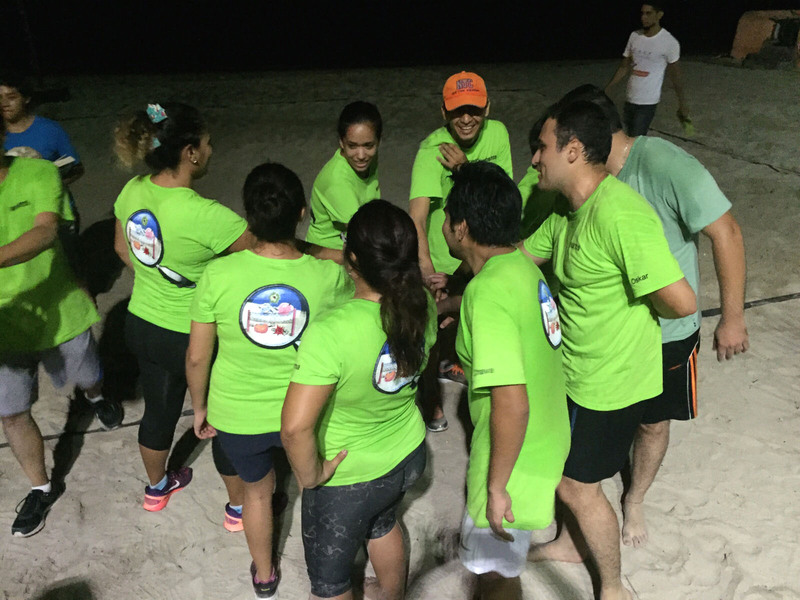 The boss of the team (Juan Pablo) promised improved performance for 2016 tournament. 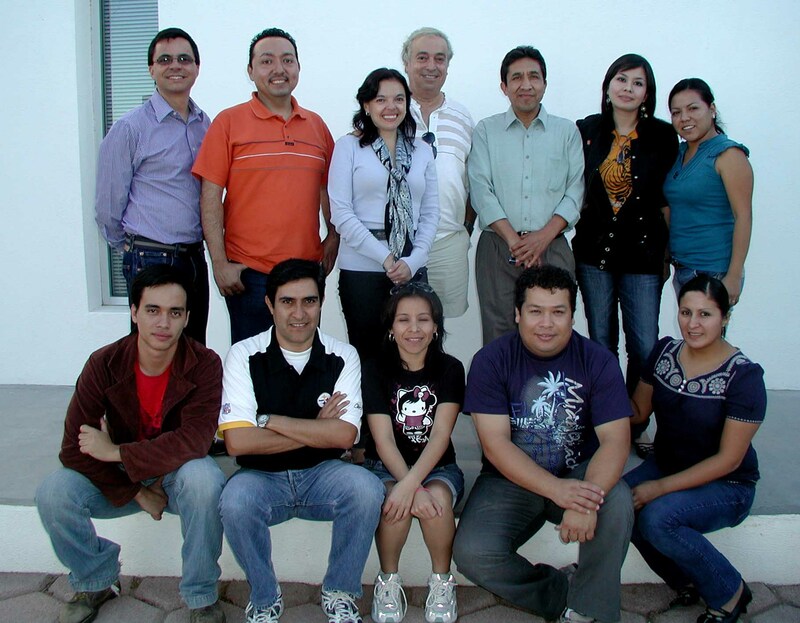 From Left: Paulina Adams, Edith Rivera, Juan Hernandez, Oskar Palacios, Claudia Contreras, David Veliz, Cristina Galavis, Salvador Reyes, Blanca Romero, Alfonso Medel, Norma Laguna. Even if our number shrunk in 2015 as most of the students graduated and left and no new students registered, the group continues to celebrate birthdays with cakes. This one was the birthday of Yoav on October 15, 2015. 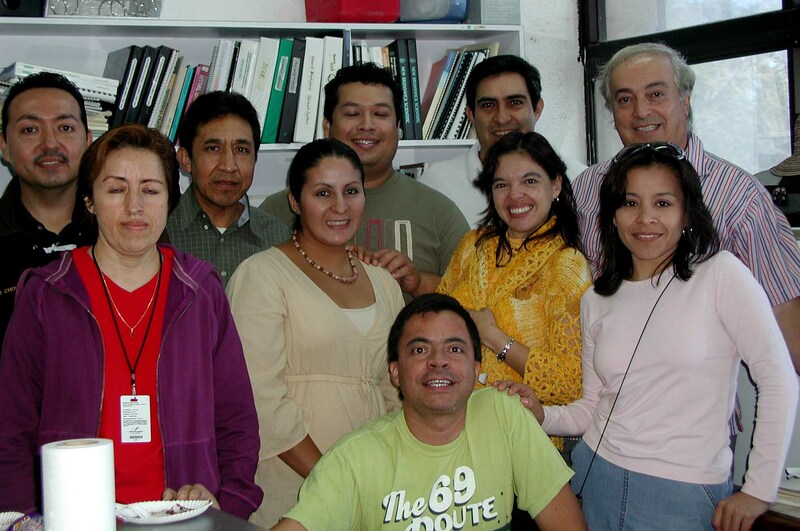 From Left: Yoav Bashan, Luz de Bashan, Macario Basilio, Manuel Moreno, Blanca Romero, Paulina Adams, Claudia Contreras, Beatriz Mesa, Oskar Palacios and Juan Hernandez. 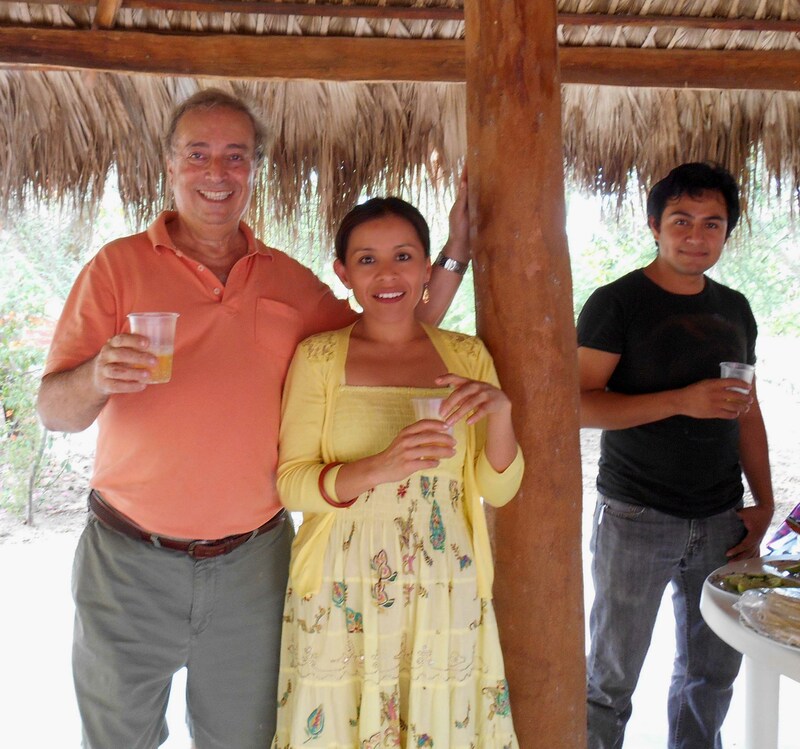 On November 8, 2013 Luz and Yoav Bashan invited all the group of Environmental Microbiology to a picnic lunch at their home palapa to celebrate several significant academic achievements. 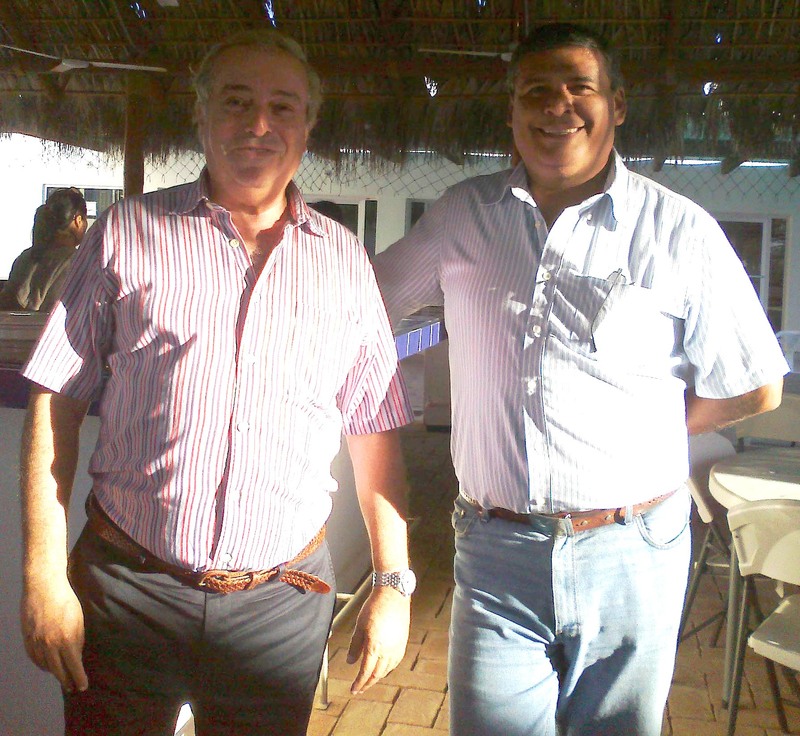 (1) Promotion of Luz to Level 2 of the Mexican national research system, (2) Award of the national prize in soil biology for 2013 to Yoav, (3) Publication of the 200th article of Yoav in high impact international journals, and (4) reaching the landmark of 10,000 citations of articles by Yoav. Over six kg of different meat, two extra large salads, and gallons of soft drinks were consumed in very little time. 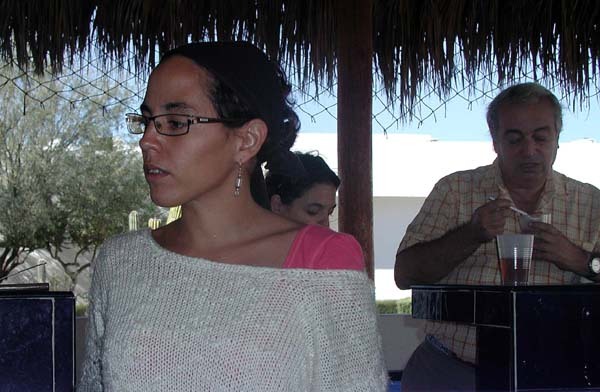 Dr. Luz Gonzalez de-Bashan, Marine Biologist Patricia Vazquez, Dr. Yoav Bashan, Dr. Macario Bacilio, M.Sc. Juan-Pablo Hernández, and M.Sc. Manuel Moreno. Luis Leyva, Fancisco Choix and Oskar Palacios. Beatriz Meza, Cinthya Chavez, Emmanuel Vidaña, Edgar Amavizca, Cristina Galaviz, Edisa Garcia, and Paulina Adams. 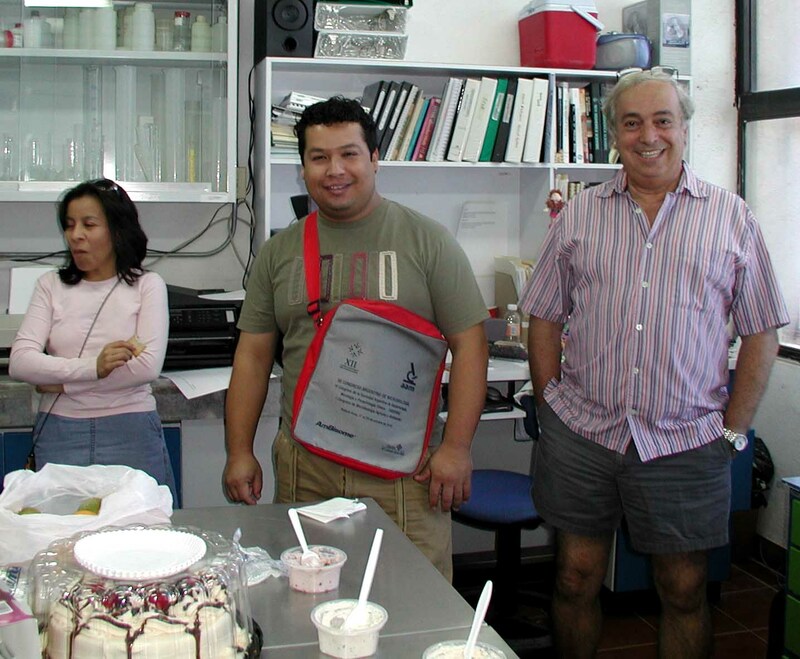 After skipping one year (2011), the Environmental Microbiology Group, following the incorporation of several new students, celebrated Valentine’s day- Day of Love and Friendship - on 14 February 2012. It was traditionally based on a mountainous quantity of food (mostly unhealthy according to some critics, but also health-oriented dishes were included as a novelty) and celebrated during the weekly seminar of the group on that very day. As is common, the leftovers served as a full lunch on the next day for the entire group. All photos were taken by “high pixel, high quality” cell phones but with less than optimal light conditions. What you see is after extensive “Photoshop” manipulation. Never believe in advertisements for cell phones. 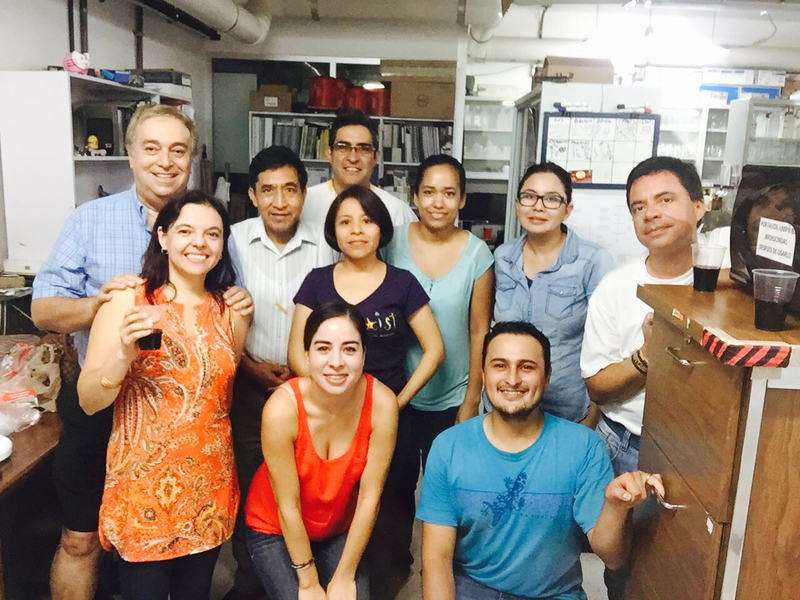 Farewell for Dr. Alberto Mendoza. 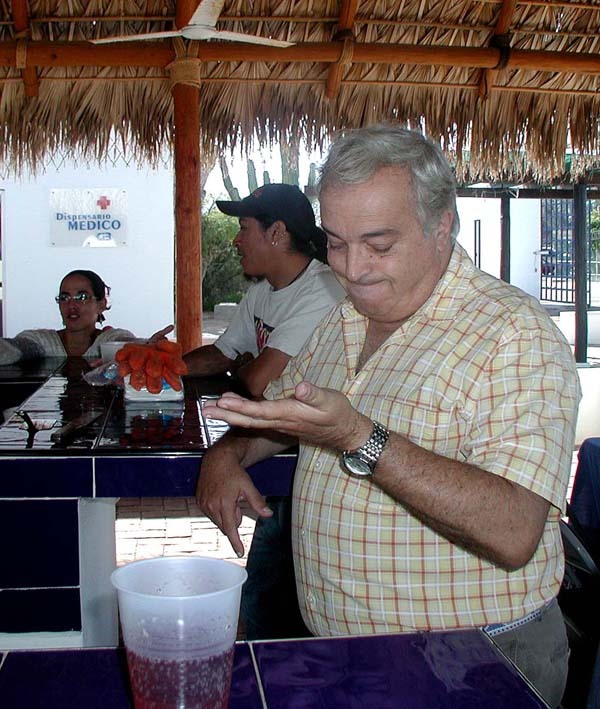 After deciding to spend his entire sabbatical year in our group, Dr. Alberto Mendoza decided also to take it easy and reduce the stress of being the ex-Director General of the Center of Genomic Biotechnology from Reynosa, Tamaulipas on the US-Mexico border, which is not a calm place to live and work these days. 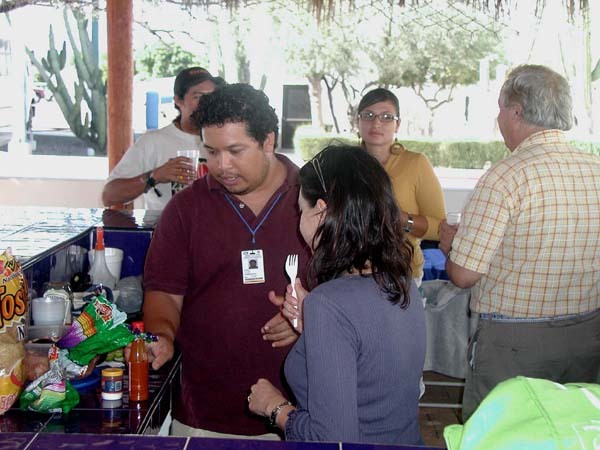 He taught the group a year-long detailed course on molecular biology (at least during the periods when he was not travelling), served as the volleyball coach of our team, and had all the time in the world to spend talking with the graduate students and the researchers of the group and leaving the high politics of science in Mexico aside. He became the most popular visitor of our group ever. Just before returning to his stressful post in the north, an afternoon party was organized by the group for him and his family. All are confident that he will miss us. 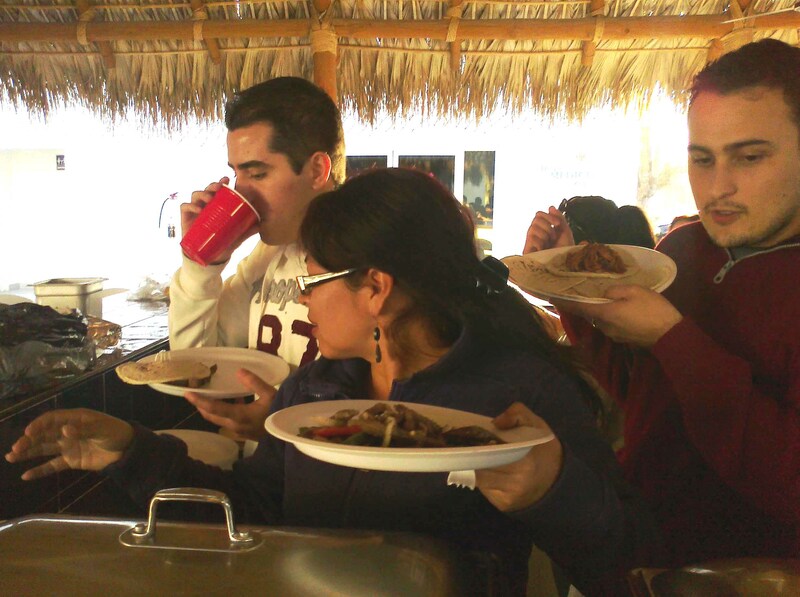 Every year we celebrate the end of the year “Posada” in the last seminar of the year. This year we made it earlier, following a birthday party celebrated few days earlier because some members were expected to be out of the country when the year ended. 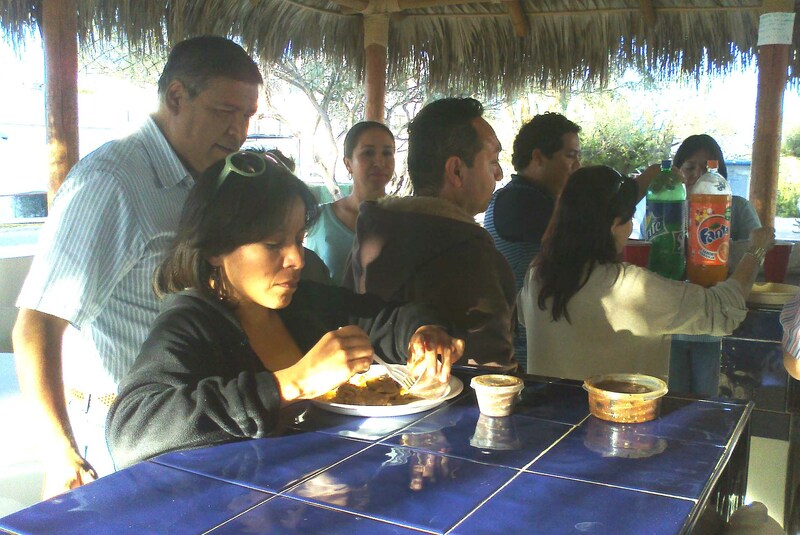 We gathered 17 members for an early evening Posada in the Palapa of CIBNOR. Each member brought a culinary delight. All were surprisingly edible and delicious. Ivonne Cruz, Beatriz Meza, Cinthya Chavez, Emmanuel Vidaña, Edgar Amavizca and Cristina Galaviz. 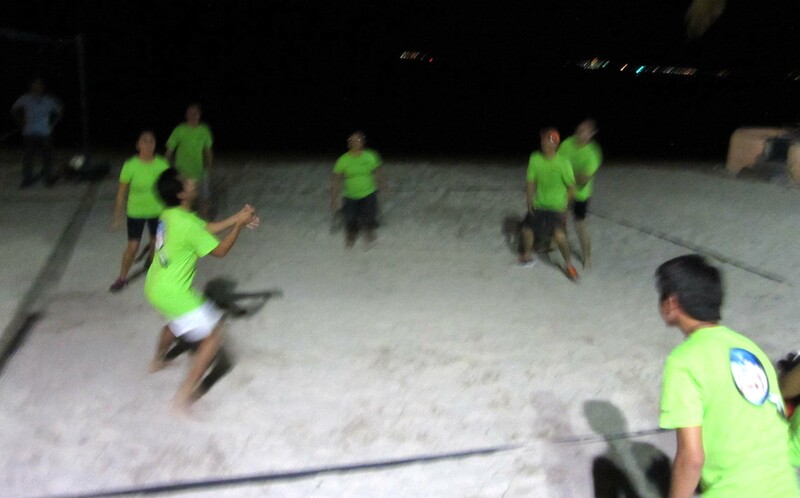 The Environmental Microbiology Group participated in an internal championship volleyball tournament, organized by The Northwestern Center for Biological Research (CIBNOR) to celebrate its 36th anniversary in October 2011. 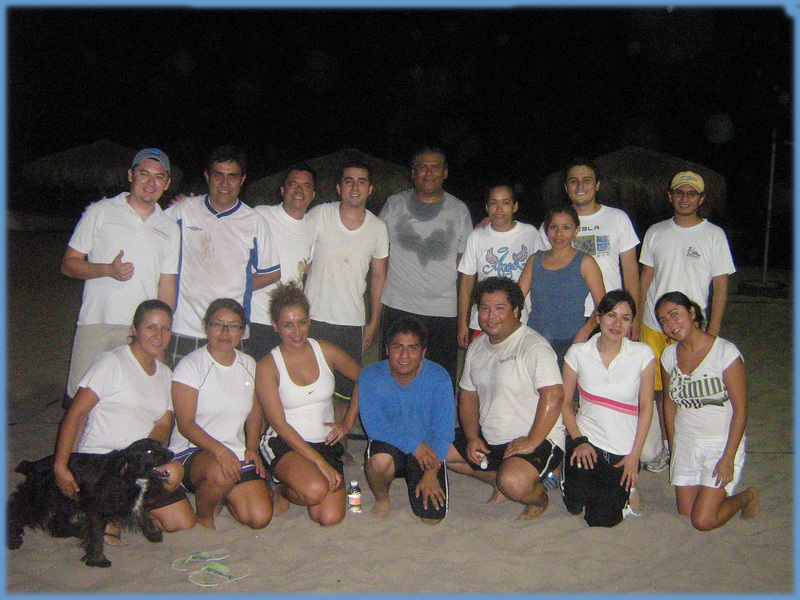 Our dream team was named "Azospirillum de Baja Sur". We finished fifth over eight other teams. 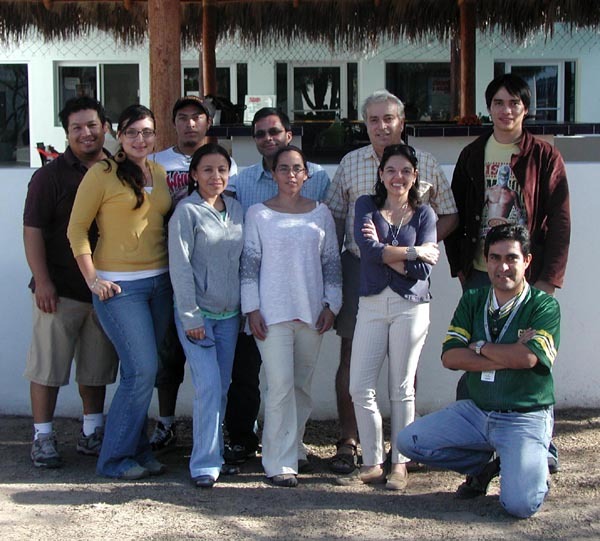 (From right, front line): Edith Rivera, Beatriz Meza, Luis Leyva, Emmanuel Vidaña, Cristina Galaviz, Norma Laguna, Ivonne Cruz and Ujkin (Our pet). 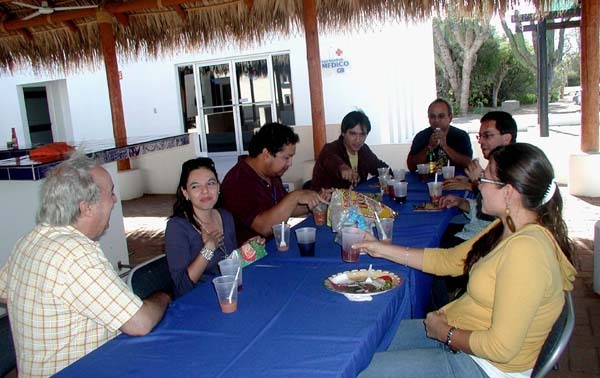 (From right, back line): Alfonso Medel, Oskar Palacios, Blanca Romero, Claudia Contreras, Alberto Mendoza (couch), Edgar Amavizca, Juan Hernandez, Manuel Moreno and Diego Briceño. 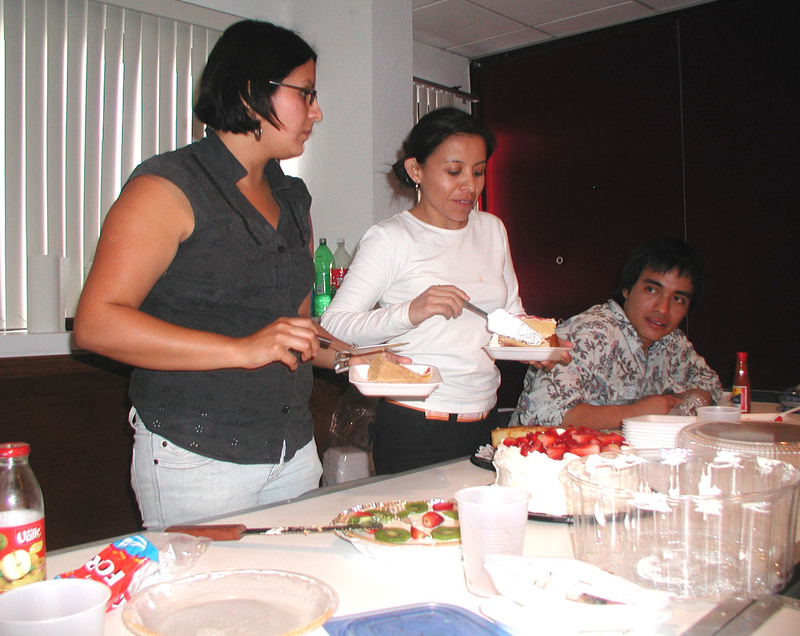 Since 1997 when the group was first created, we celebrate the end of the year “Posada” in the last seminar of the year. The year 2010 was of no exception. 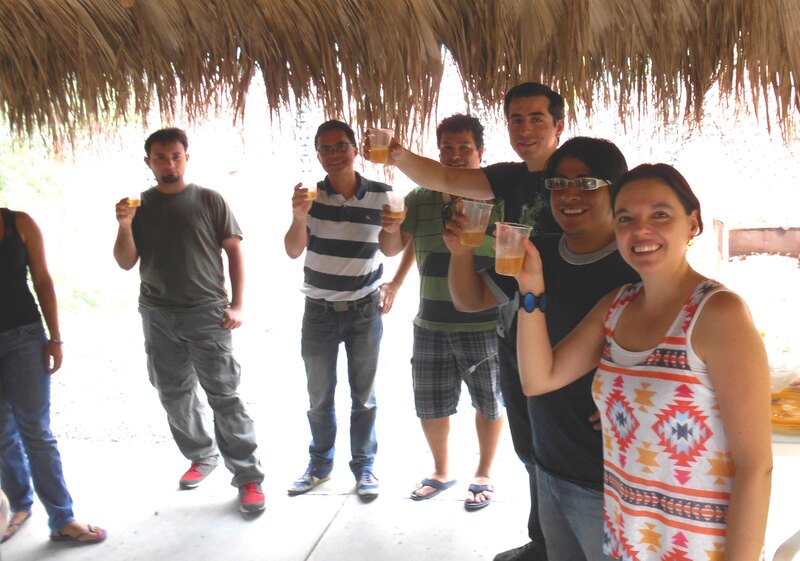 We gathered 12 members (out of the 15 members we had in 2010 and few were off campus) and there were few visitors for a midday Posada in the Palapa of CIBNOR. Each member brought a culinary delight, none brought the langusta or paella dishes suggested by the organizers. 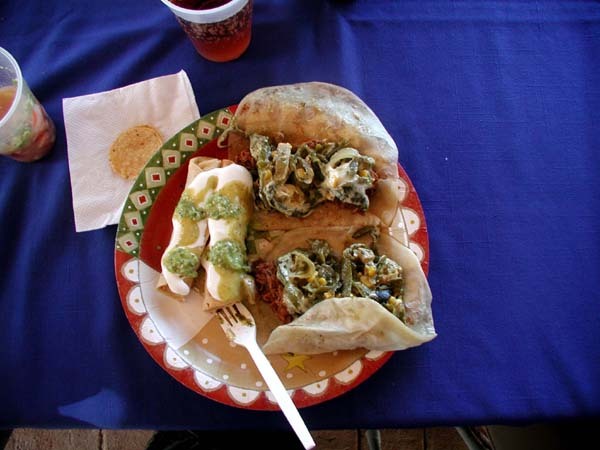 As is common, there was more than sufficient food to satisfy all tastes. 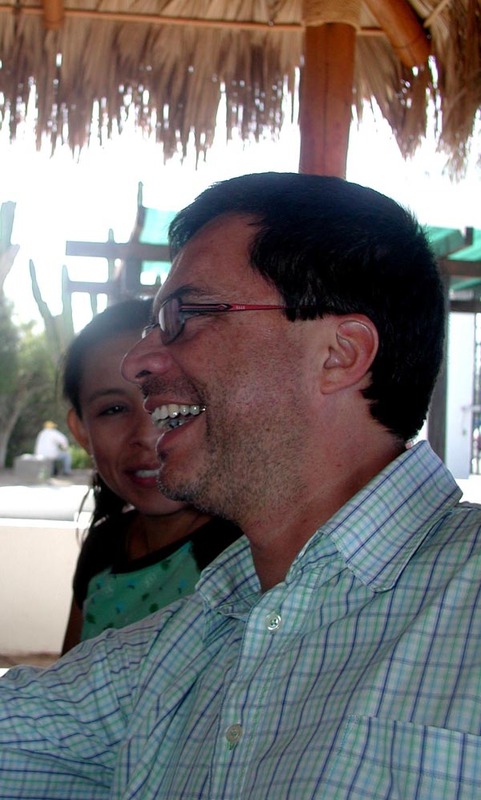 Luis Leyva- D.Sc. 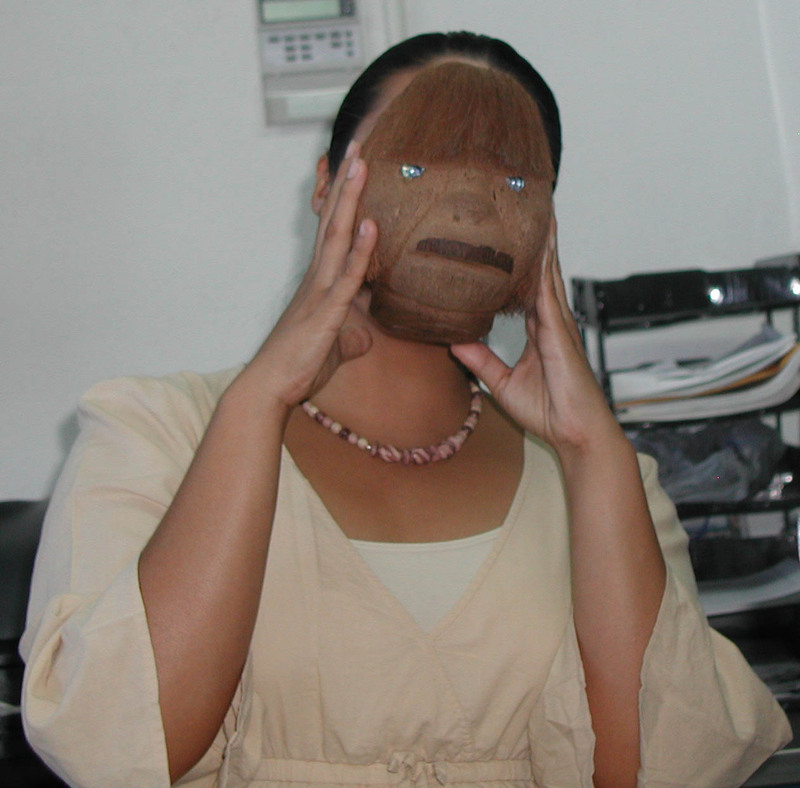 Student; Alejandra Vovides- D.Sc. 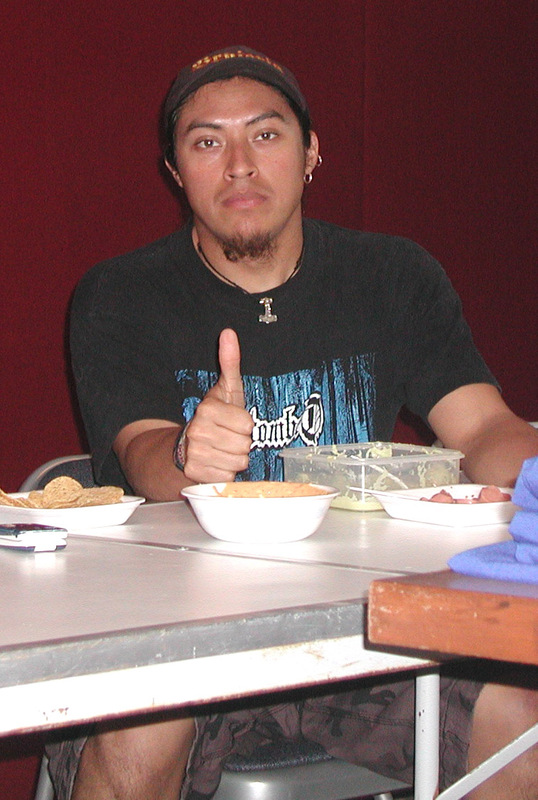 Student; Adan Trejo- M.Sc. student (graduated in 2010); Sergio Hernandez - M.Sc. student, Francisco Choix- Doctoral student, Eng. Noga Bashan- Diploma, Ivonne Cruz- M.Sc student; Beatriz Meza- M.Sc student; Raina Romero- Social service student; Cynthia Chavez- M.Sc student; Alfredo Orrala- Residency student. 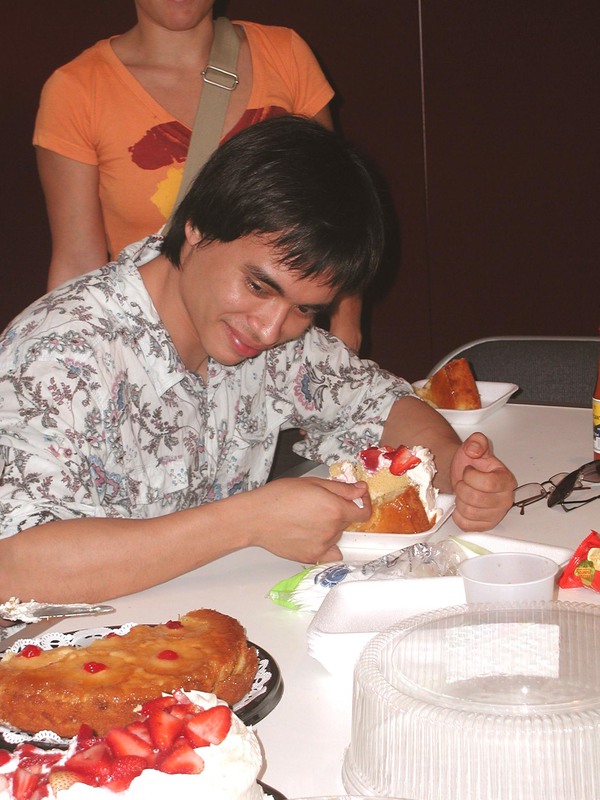 Because we have more members than months, every month we celebrate the birthday of somebody (if the date is not kept a secret) with a cake in the laboratory. 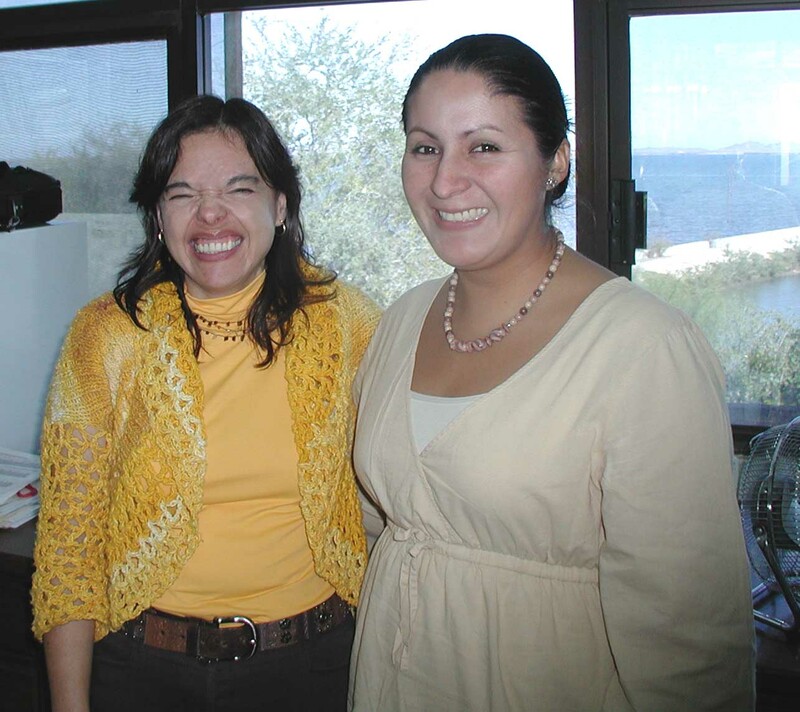 On December 7, 2010 both Ivonne Cruz and Luz de-Bashan had a birthday. To avoid sugar toxicity from too many cakes, one cake was substituted with salty crackers and dips. Nobody complained. Who is this girl?... looks like Ivonne..!! 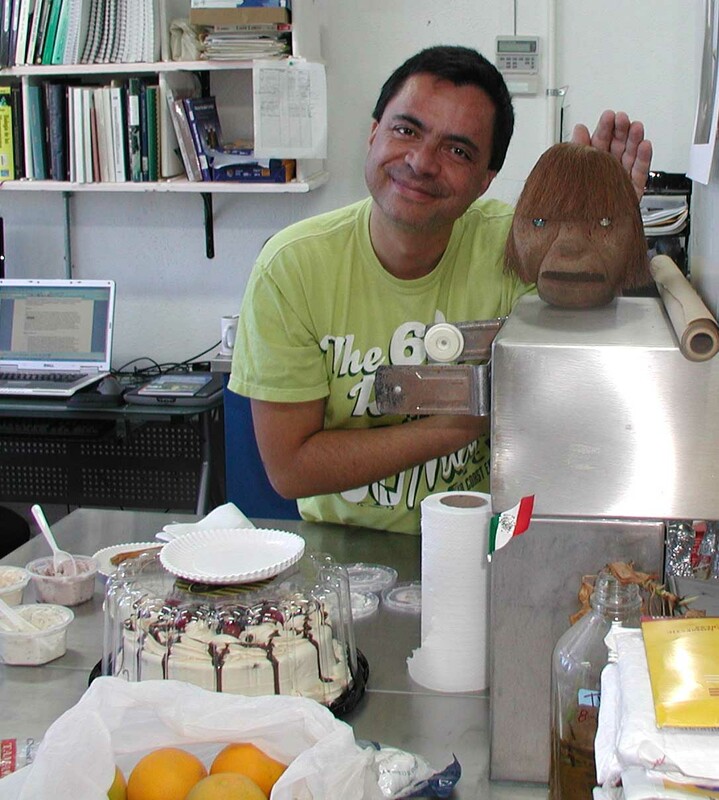 Juan-Pablo and his hybrid, it is important to mention that Juan-Pablo is on the left. Improvements in the coherence of the Environmental Microbiology Group following the incorporation of new students yielded the first ever celebration of Valentine day- Day of Love - on February 14, 2010. It was traditionally based on a mountain quantity of food (not all unhealthy) and celebrated during the weekly seminar of the group occurring exactly of that very day. Version 1: Adan is approving the quality of the sausage, or, Version 2: He is approving that the member of the group who prepared it should be allowed to live and not be executed on the spot. Alejandra is extremely satisfied with a piece of carrot. Luis as always is happy as long as there is something to chew. “To eat or not to eat” assortment of edible roots before the “heavier food”. This is the dilemma facing Blanca. 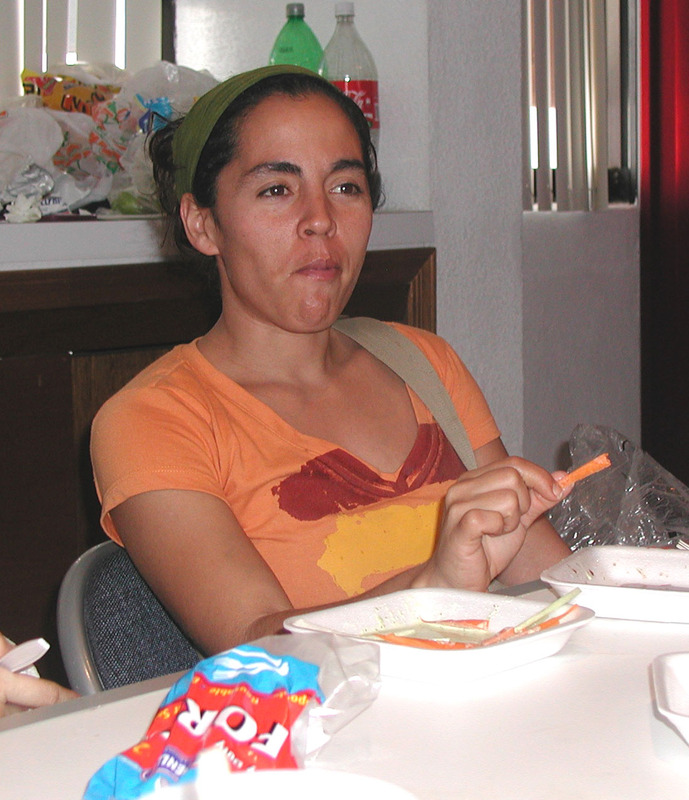 Apparently, a lot of vegetables are a real treat for Luz. How can one share two large cakes for only 12 people? Yvonne and Blanca are loading large slabs of cakes into the mini plates sufficient for only one tiny piece of cake. Sergio is not participating. He is just there. Everybody is waiting for their large share in the cakes. Nobody seems to care about the large amount of calories one has to upload into their energy producing systems in few minutes. 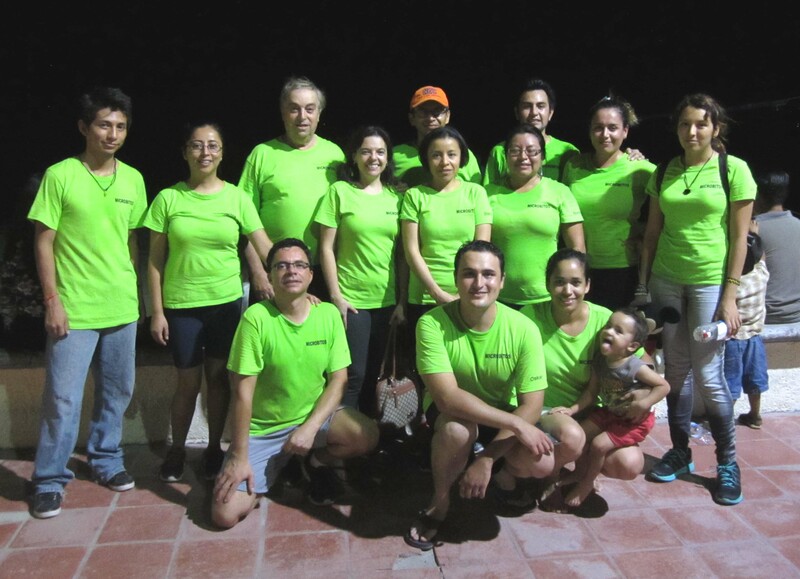 Yoav converted it directly to fat and avoided the energy issue (From Left; Yoav, Alejandra, Betty, Pati, Yvonne and Blanca). 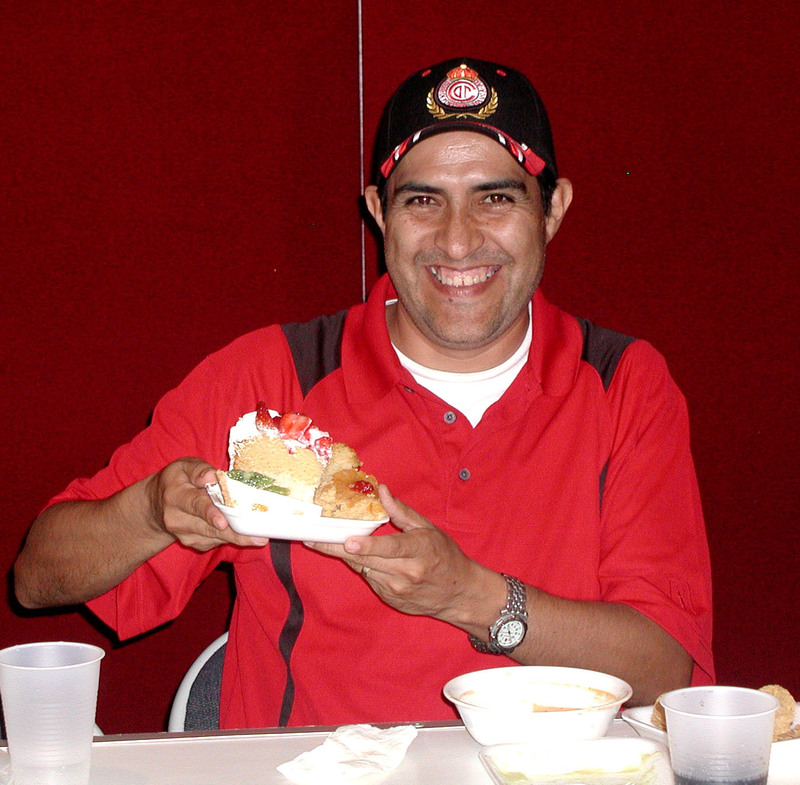 Manuel receiving his 5000+ calories’ share after eating all the other food. Betty is still waiting for her mountain of cakes while Pati took only a micro-piece. Even though Sergio’s plate is full and over loaded, he still has a look for more. Since 1997 when the group was first created, we celebrate the “Posada” in the last seminar of the year after receiving the evaluation of how good or bad (mostly good) we did in the year. 2009 was of no exception. 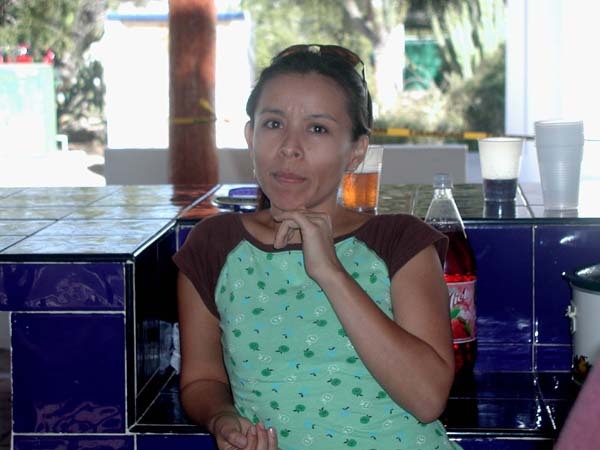 We gathered 10 members (out of the 20 members we had in 2009 and did not show up for the last working days of the year or were off campus) and there were few visitors for a midday Posada in the Palapa of CIBNOR. Each member brought a culinary achievement and the few who cannot cook brought themselves plus the necessary accessories for the meal. As is common in Mexico, there is always a lot to eat and no matter how much one eats, there is always something left to take home. Tradition. 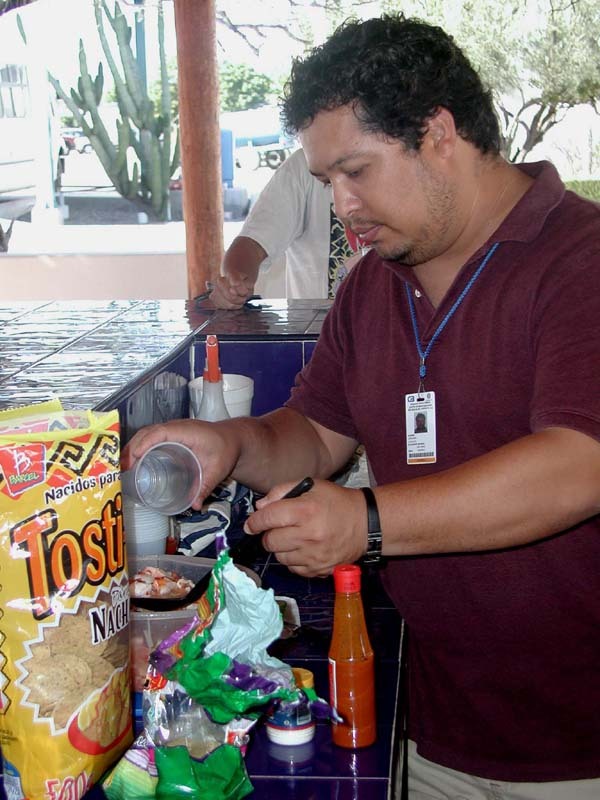 The only difference from a normal Mexican fiesta is that alcohol is not permitted on campus. 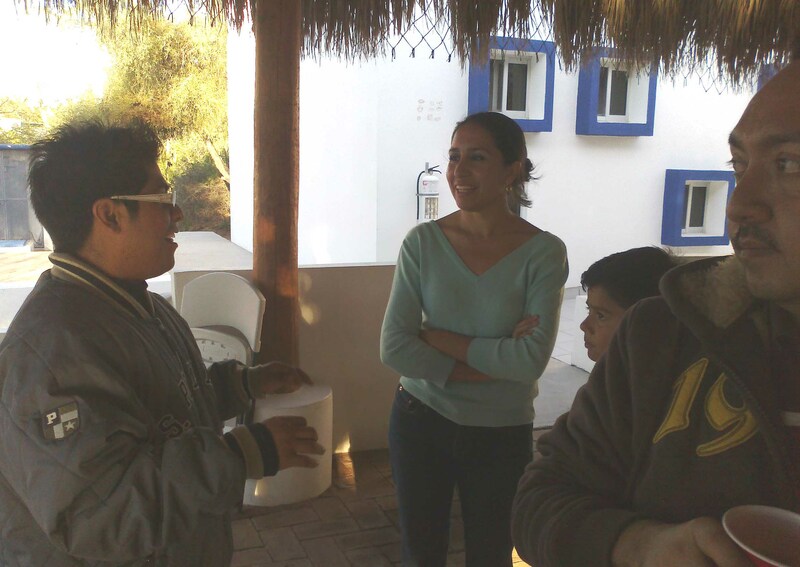 Permanent members: Dr. Luz Gonzalez de-Bashan, Marine Biologist Patricia Vazquez, Dr. Yoav Bashan, Dr. Macario Bacilio, M.Sc. Juan-Pablo Hernández, M.Sc. 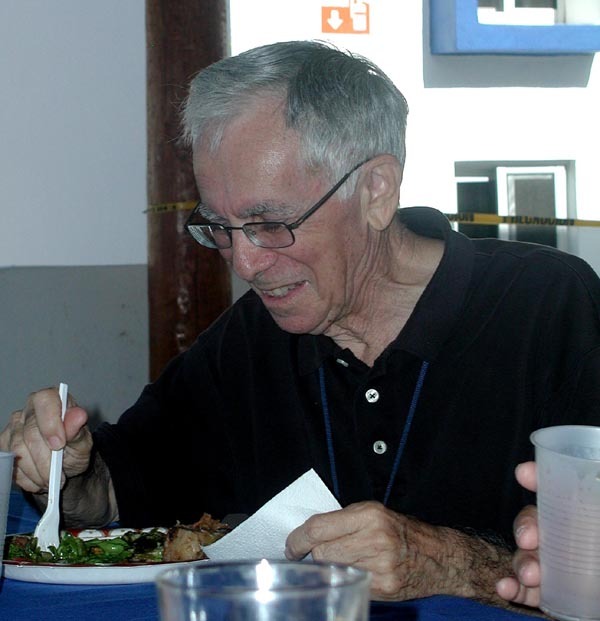 Manuel Moreno, Marine Biologist Bernardo Salazar. 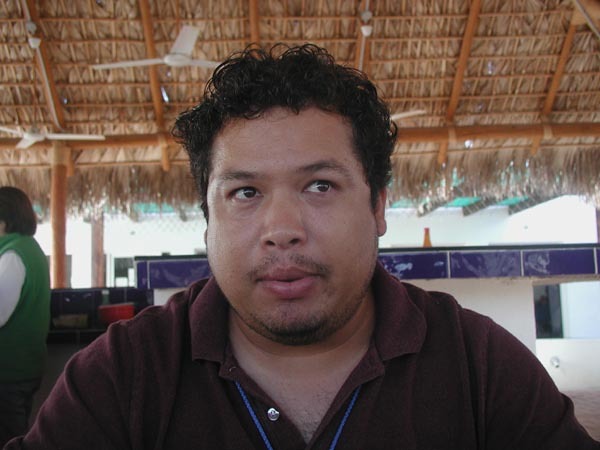 Post doctoral scientist: Dr. Froylan Espinoza. 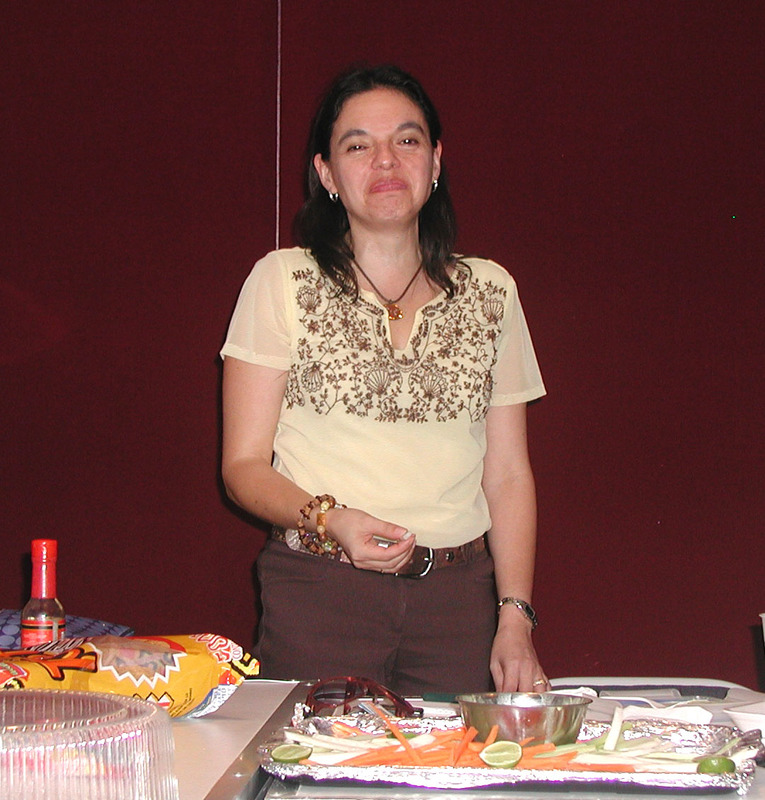 Students: Dr. Blanca Romero - Graduated in 2009. M.Sc. 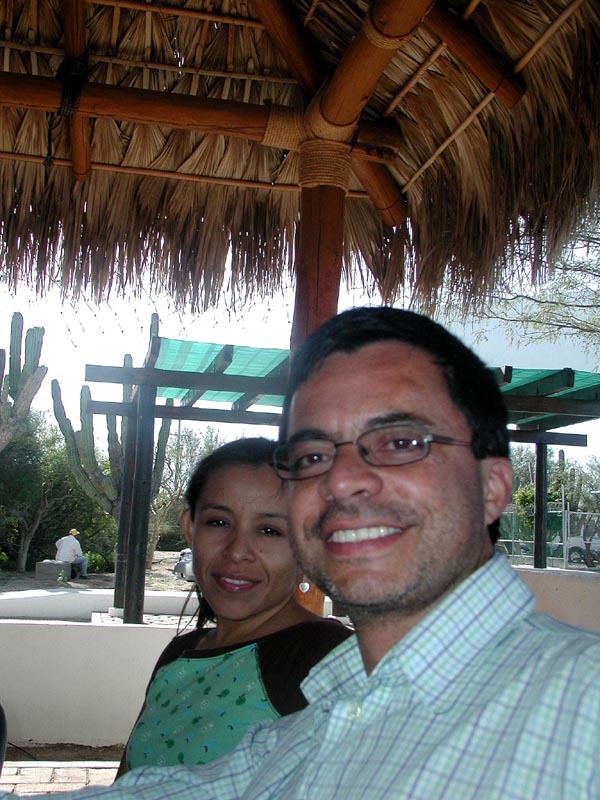 Octavio Perez- Graduated in 2009; Alejandra Vovides. – D.Sc. 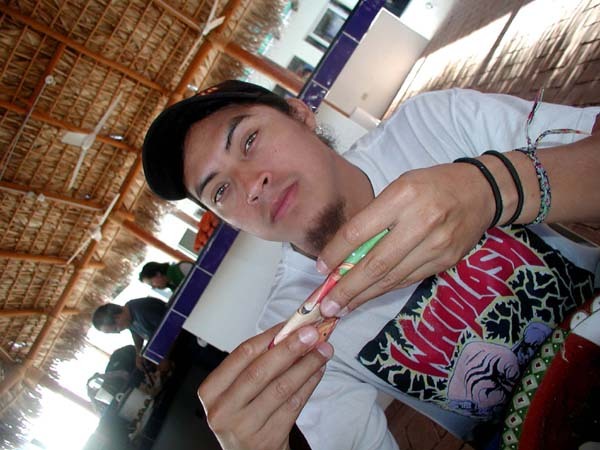 Student; Luis Leyva. D.Sc. 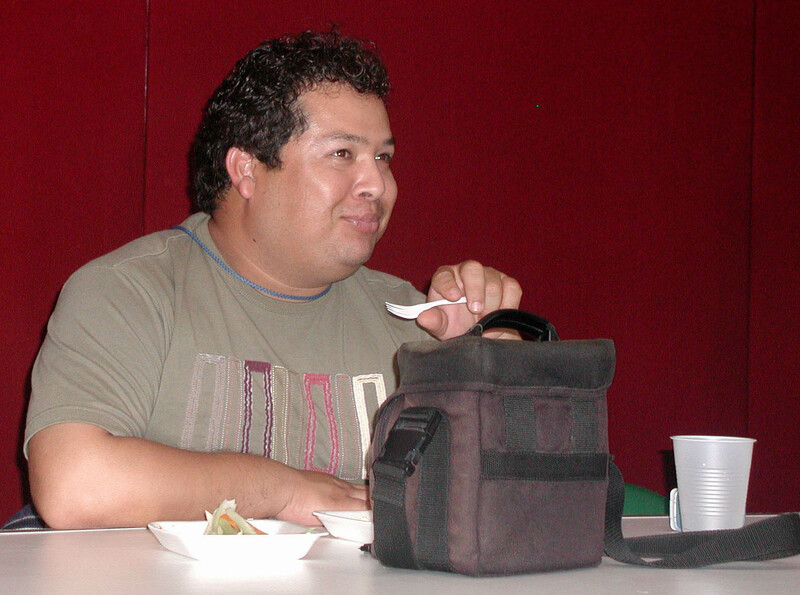 Student, Adan Trejo. M.Sc. student, Sergio Hernandez - M.Sc. student, Francisco Choix. 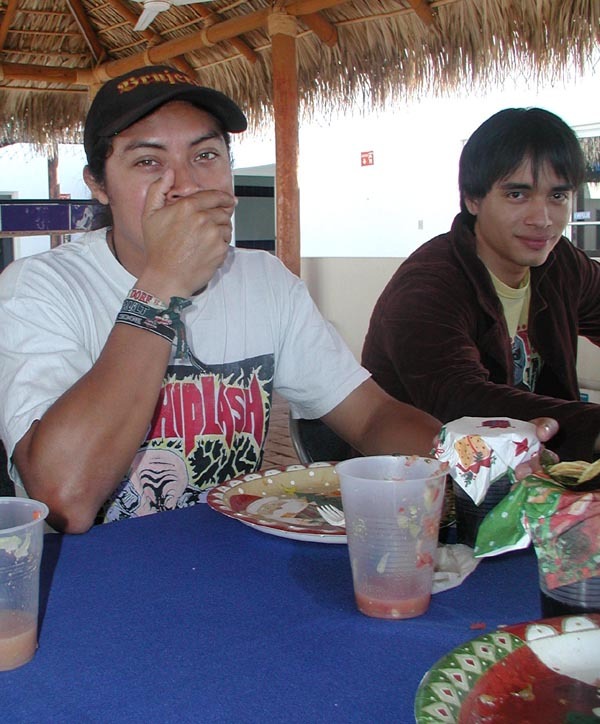 Pre-doctoral student, Ulises Ortega and Felipe Ortiz- Professional Practice, Noga Bashan- Diploma. 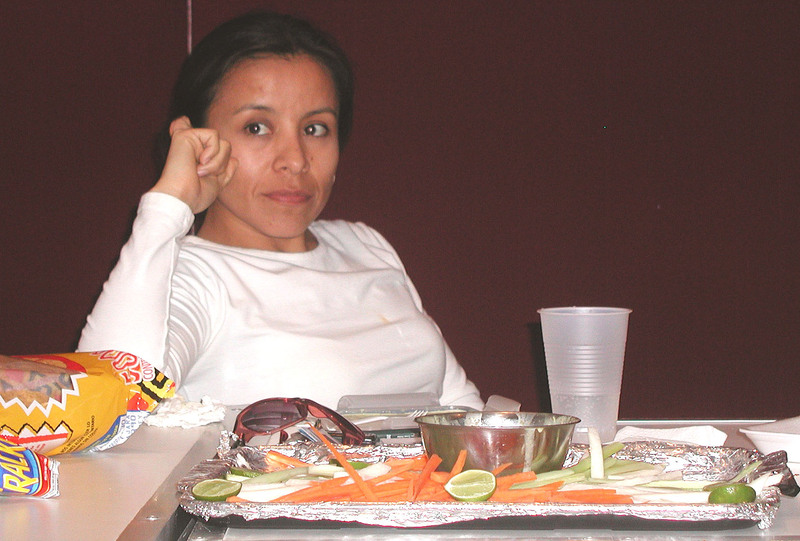 Group administrator: Isaura de la Vega. To wash or not to wash. Is the hand clean enough to mix the drink? Blanca has something on her mind. Luis is explaining to Luz his secrets for his superb ceviche (raw fish plate). Luis is preparing his always-good ceviche. The only ceviche few of us dare to eat because we know that freshness is guaranteed and no stomach aches, poisoning, or diarrhea is expected. It is completely unclear what Alejandra is waiting for. One of the few traditional dishes prepared. After the ceviche that was served as an appetizer, (from right) Isaura, Juan-Pablo, Amauri (the zoologist that likes to hang out in our group), Sergio, Luis, Luz, and Yoav. Adan, in an undefined pose. Ira Fogel, our English editor, who always appreciates good Mexican food, passed by and was immediately invited to join us. 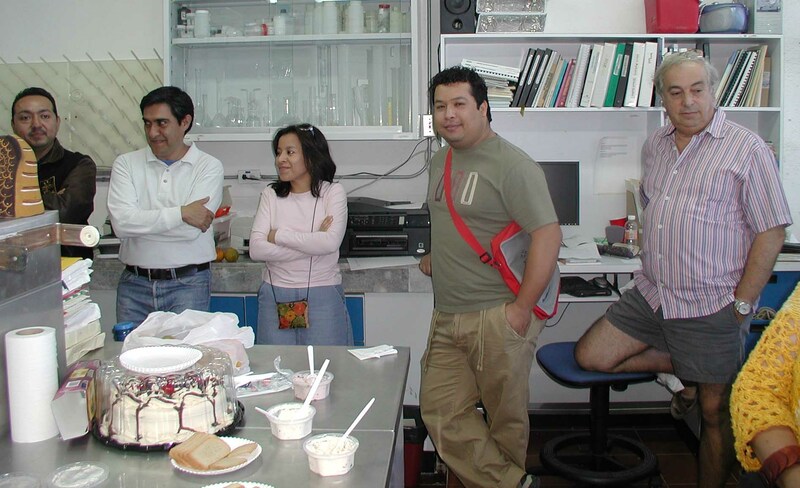 Is Luis thinking about his enzymatic tests or what to eat next? Probably the latter. Juan-Pablo and Blanca having a great time. The chiles were a bit strong for Adan. Sergio has not eaten them so far. 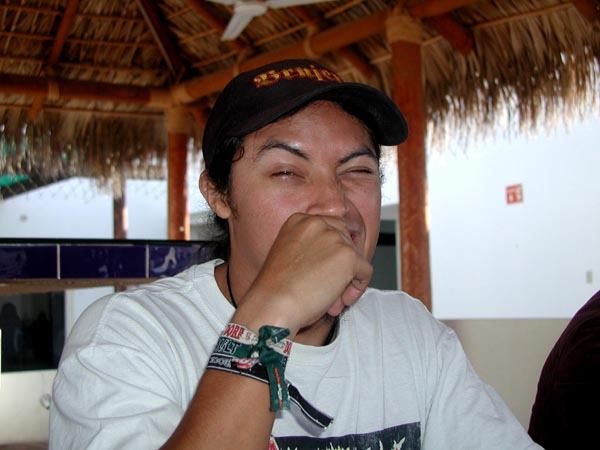 This was just one sharp hot jalapeno (Adan)! It took two hours to complete our Posada. Much was left for take-away. 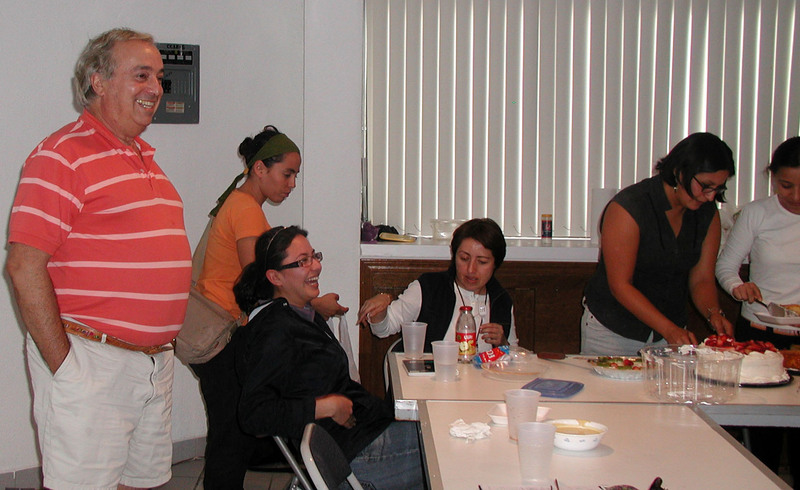 And the year is officially closed (from right, front line): Manuel, Luz, Alejandra, Blanca, Isaura. 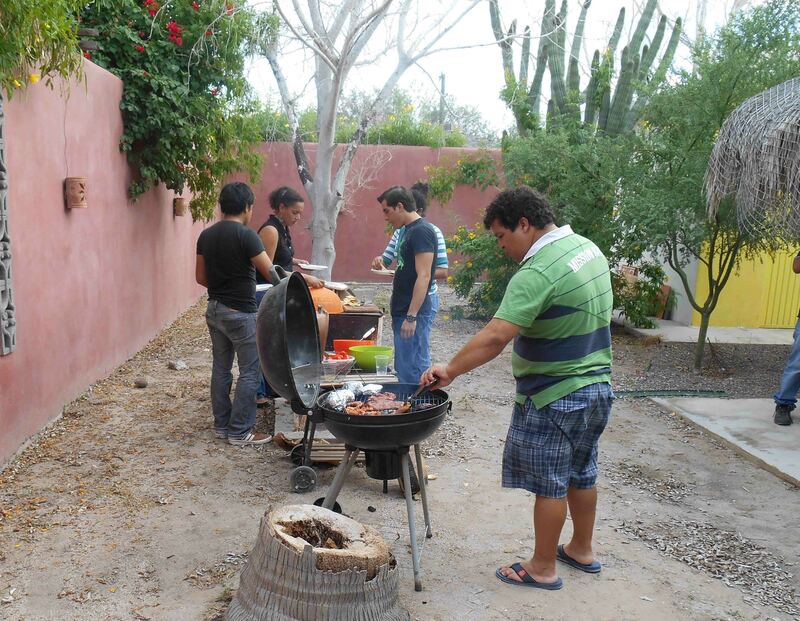 (from right, back line): Sergio, Yoav, Juan-Pablo, Adan, Luis.